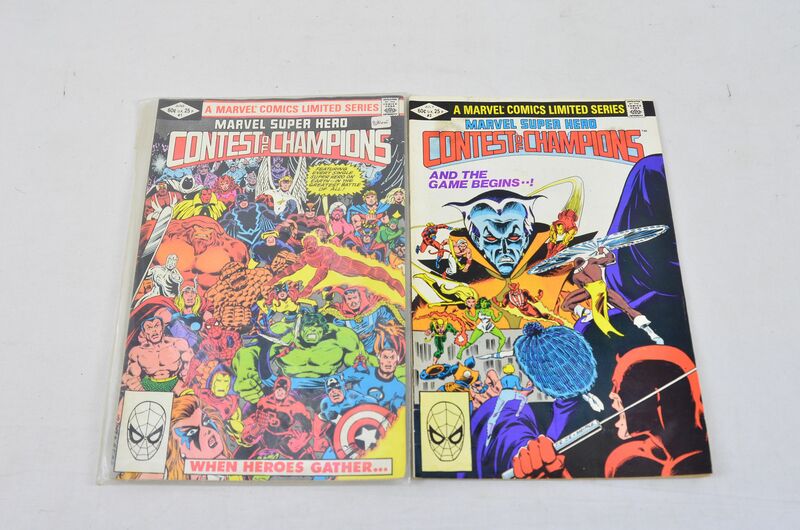 These comics are in good condition. 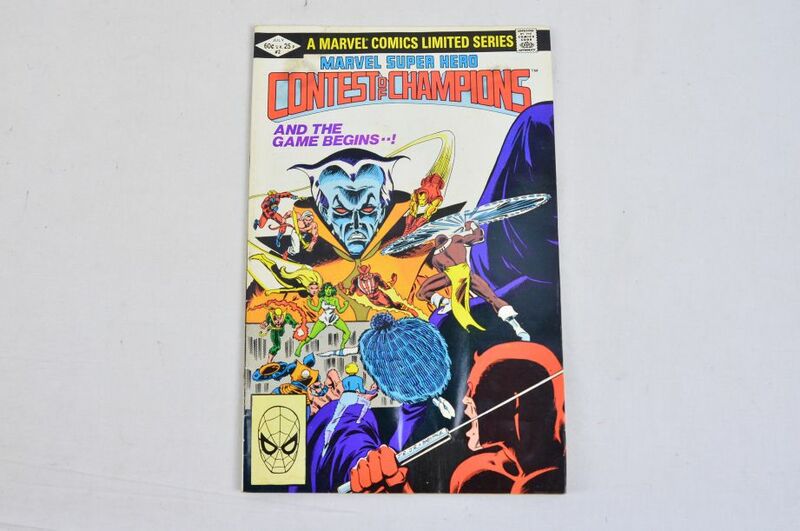 A Marvel Comics Limited Series, Marvel Super Hero Contest of Champions, volume 1, number 1, June 1982. 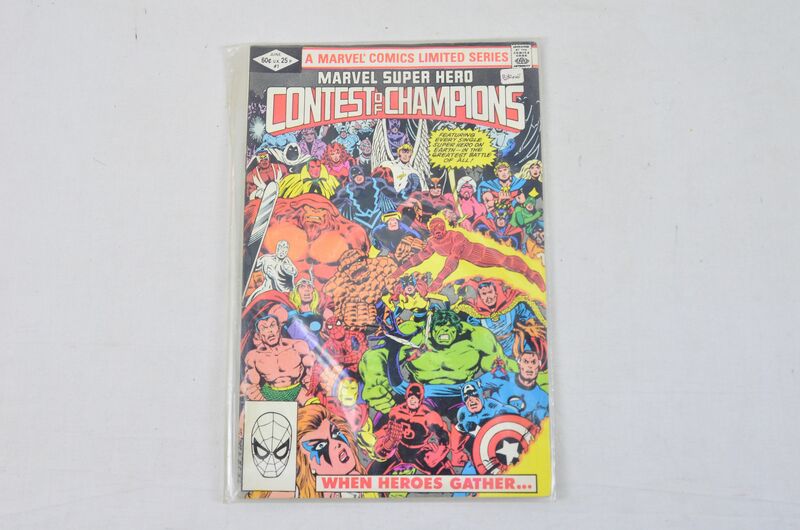 A Marvel Comics Limited Series, Marvel Super Hero Contest of Champions, volume 1, number 2, July 1982.